TROMBETTI FLORIDA REAL ESTATE: Does It Makes Sense To Buy A New House Before Selling The Old One? Does It Makes Sense To Buy A New House Before Selling The Old One? You're interested in moving. You need to sell your old house first before buying a new one, right? After all, you don't have enough of a down payment for the new house without selling the old one, and you are pretty certain your bank will not qualify you for two mortgages. You are in a dilemma; houses in your area are currently receiving multiple offers. Inventory is low. 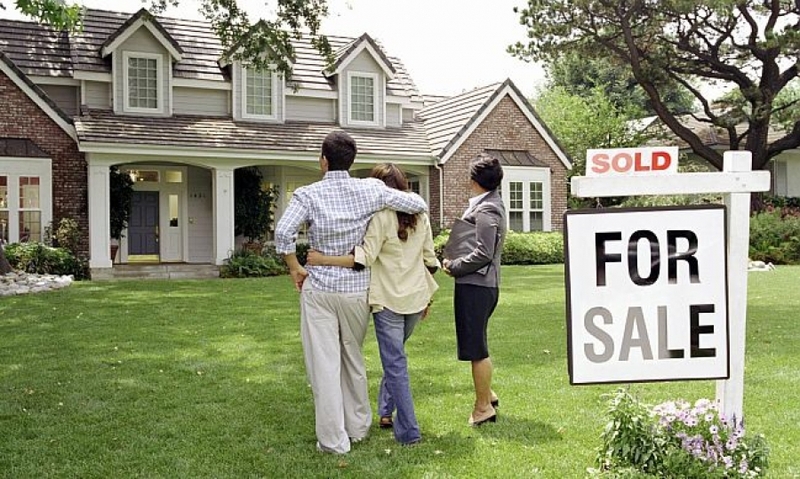 Sure, you can sell your house under the same circumstances, but will you be able to identify a new house so that you can simultaneously move from the old house to the new one? Unlikely. Do you sell the current house, move to a rental [or hotel) while you identify and try and close on the new house? Is the extra hassle of moving twice and the added stress of the inability to simultaneously close on the sale and purchase the new worth it? IF you could purchase a new house while still living in the old house, is it worth the added costs involved with having a second mortgage until you sell the old house? How much is "peace of mind" worth in not having the pressure of having to purchase a new house (because you sold the old house too soon)? These questions are a reality in today's world in many parts of the country, specifically, the San Francisco Bay Area, because of the real estate rebound after the Great Recession. According to Jeff Stricker, a real estate professional with Alain Pinel Realtors specializing in the Silicon Valley in California, his clients are faced with these exact situations much of the time, as property is swooped up almost as soon as it hits the market, and, many times, with multiple, over asking prices. Jeff states that, although it is great for his clients as sellers, those same clients face challenging hurdles when buying a replacement property; competing against other buyers, some with cash only offers, who are willing to bid up a property far beyond the asking price in many circumstances. Some buyers are just so frustrated with the process of competing and getting outbid that they act in ways that they normally would never have thought. Overbidding. Settling for a house that they may not have originally envisioned. The list goes on. Jeff, however, decided to think outside the box. What would happen if another house was purchased (without the added pressure of "living out of a suitcase", if you will) prior to the sale of the old house? Is it even possible with the banking regulations that were placed upon financial institutions as well as homeowners over the past decade due to the "mortgage meltdown" that happened in 2008 and on? Dodd Frank rules that placed inordinate restrictions on the ability of homeowners to obtain financing left many people unable to get loans in which they previously were easily able to qualify. Jeff decided to come up with a spreadsheet wherein, if he plugged in some assumptions, he could figure out if it would make economic sense to acquire a new house before selling an old house. The other part of the equation was to find a lender who would allow for a homeowner to purchase a new home without first selling the old home; thus, carrying two mortgages at the same time. Since most conventional lenders would not touch this, Jeff had to look to alternative sources. He found a company called Pacific Private Money, in Novato, CA that specializes in such a product. Pacific Private Money can lend enough to the borrower to purchase the new home if there is enough equity in the old home to justify a combined Loan to Value (LTV) of 70% or less. Sometimes, if there is not enough equity in the old home, the borrower needs to add cash to bring the LTV to 70%, but, the ability to purchase a new home without having to sell the old one first can solve many issues for the homeowner. First, the new home can be identified without adding pressure since the homeowner is still living in the old house until the new house closes escrow. Second, the stress of moving twice is eliminated. Third, and probably the best (and possibly most surprising) is that this solution may actually cost LESS in terms of increasing net equity to the household than selling the old house and buying a new house with the proceeds from the old house (and new mortgage) in most circumstances wherein the new house is more expensive house than the old house. In a rising market, the earlier the purchase of the more expensive new house and the delay of the sale of the old will increase the net equity to the homeowner more than the costs associated with carrying two mortgages. For example, let's assume the old house is worth $1,000,000 and there is currently a 1st mortgage of $200,000. The homeowner desires to purchase a new home for $1,400,000 and has $100,000 in the bank that can be used for a down payment. We will look at two scenarios; the first is where the homeowner sells the current house, rents for a period of time, and then purchases a new home. The second scenario is where the homeowner borrows the money in order to secure the new home while owning the old home. Obviously, there are many moving targets with both scenarios, such as how much it will cost to rent a place (in the event of selling the old house first) as well as how long it takes to identify and close on the new house, storage costs for belongings, the cost of obtaining a private loan, and the appreciation assumptions for both houses, just to name a few. Here is a calculation making the following assumptions; it takes nine months to close on a new house after selling the old house; houses in the area (both old and new houses) are appreciating at 1% per month; interest earned on bank deposits are at 1% per annum; storage costs are $1,000 per month, a conventional bank loan is not available because the homeowner does not qualify and has to use a private loan company; the costs for the private loan are 9% plus 2 points; the interest rate on the old house is 3% per annum. Click Here to see 1% per month appreciation. As you can see, in a rising market, where the new house is worth more than the old house, there is a significant benefit to using a private loan to purchase the new home and sell the old home at a later date. Waiting 9 months to eventually acquire the new house has tremendous opportunity costs, as compared to a net benefit of purchasing the new house right away and eventually selling the old house. Although assuming a 1% per month appreciation of real estate may seem aggressive, the San Francisco Bay Area, and specifically the Silicon Valley, has experienced such growth. However, even if we lower the appreciation to .5% per month (Click Here to see .5% per month appreciation), we still see a fairly significant benefit to purchasing the new house now rather than waiting to first sell the old house and then buy the new house. Aside from the economic benefit, other factors need to be considered; the lack of stress of moving twice should the homeowner decide to sell the old house first and then purchase the new house; what if the homeowner finds the house of his/her dreams now and does not want to let the house slip away? In today's market, sellers are not willing to take contingent offers. Can the homeowner budget for both houses at the same time while waiting for the old house to sell? Is the market rising? Is the new house more expensive than the old house? How long will it take to sell the old house? These are just some of the issues to consider before deciding one way or the other; however, and this can't be stressed enough -- when a homeowner finds a house they like, they do not want to lose the opportunity of buying it. This means that they can start looking at new houses before putting their old house on the market. This also allows them time to make any repairs or fix up their old house so as to maximize its value prior to putting it on the market. Once homeowners know that there is a potential to purchase a new house before selling their old house, they can be proactive in obtaining a commitment letter from the lender. Of course, homeowners should see if they qualify for a conventional loan for buying the new house (owning two houses at once), but they should keep their minds open to procuring a private loan should the bank turn them down. Pacific Private Money is such a private loan company.